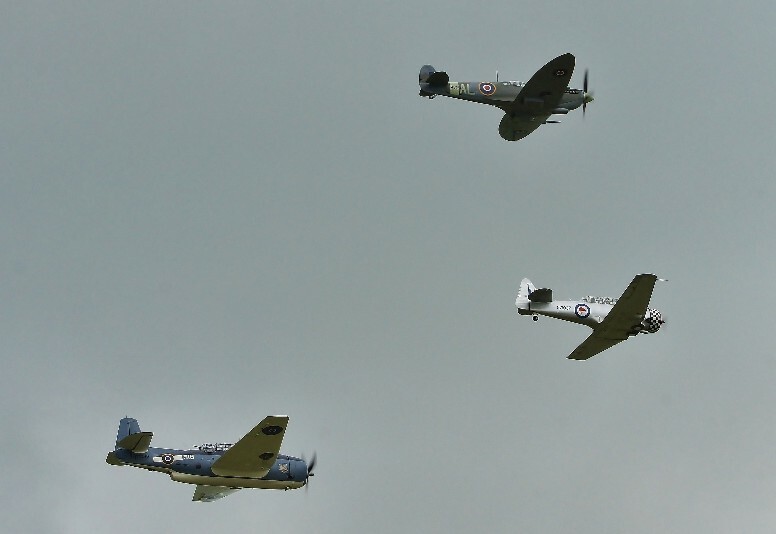 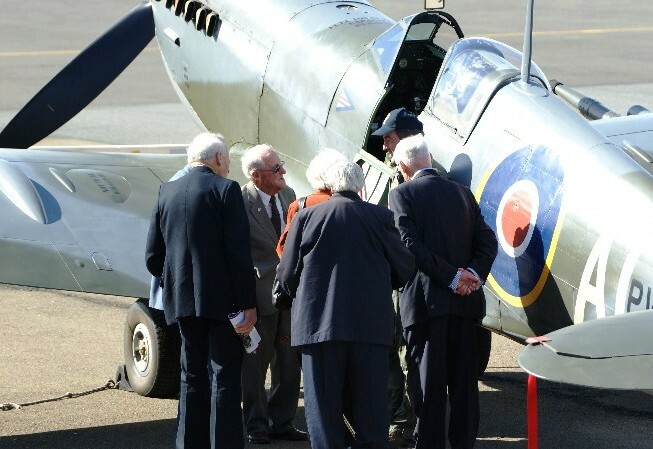 485 Squadron Association reunion - Nine ex Spitfire pilots in front of PV270. 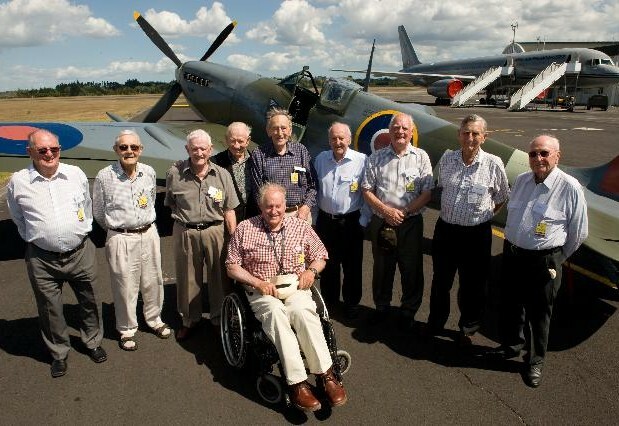 From left to right: Dave Fail, Russ Clarke, Dave Iggo, Maurice Mayston, Ken Lee, Max Collett, Owen Hardy, Doug Brown and Vic Hall. 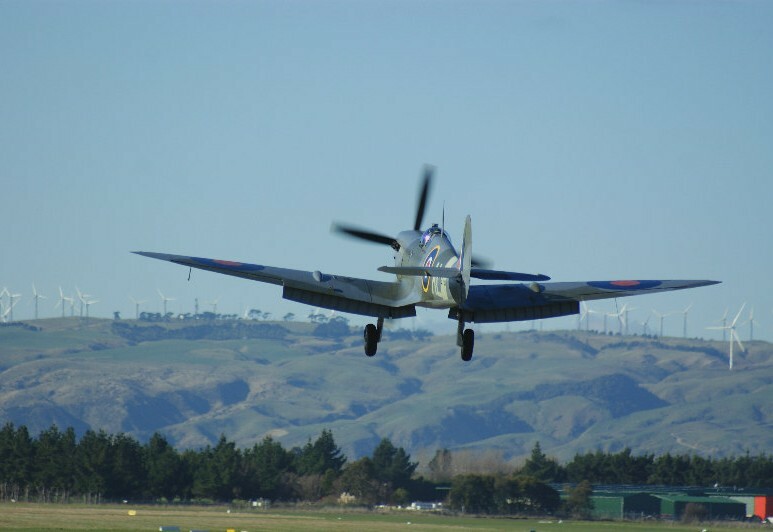 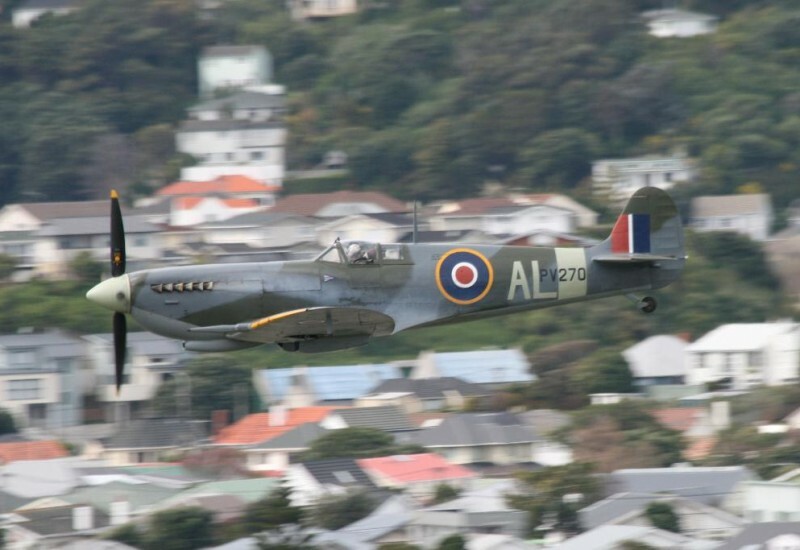 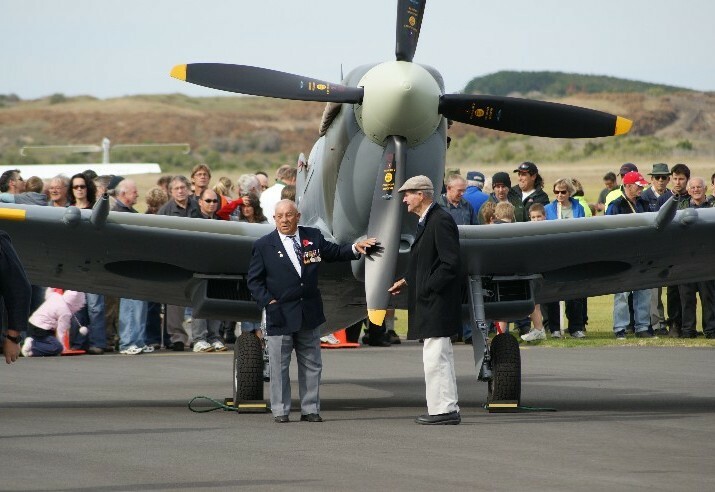 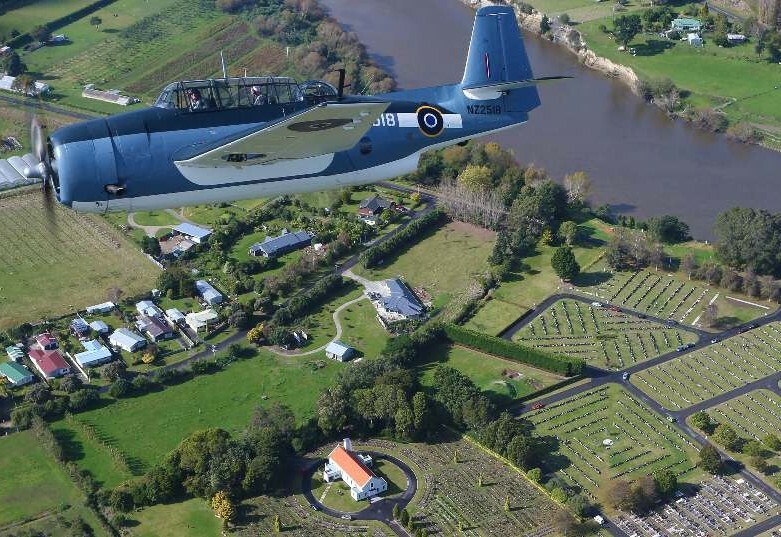 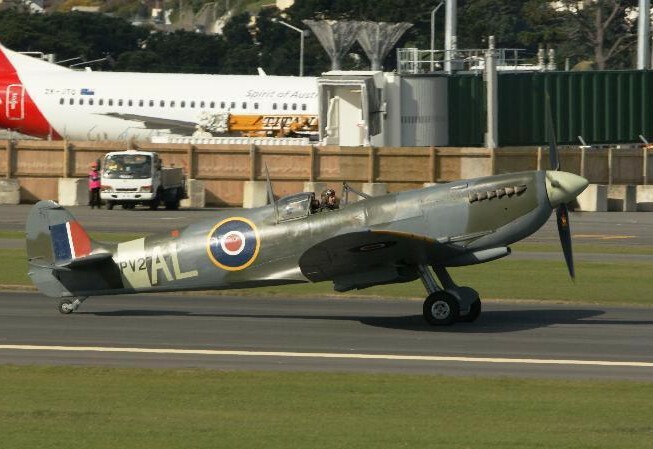 In front: Sir Tim Wallis (patron of 485SQN and founder of Warbirds Over Wanaka). 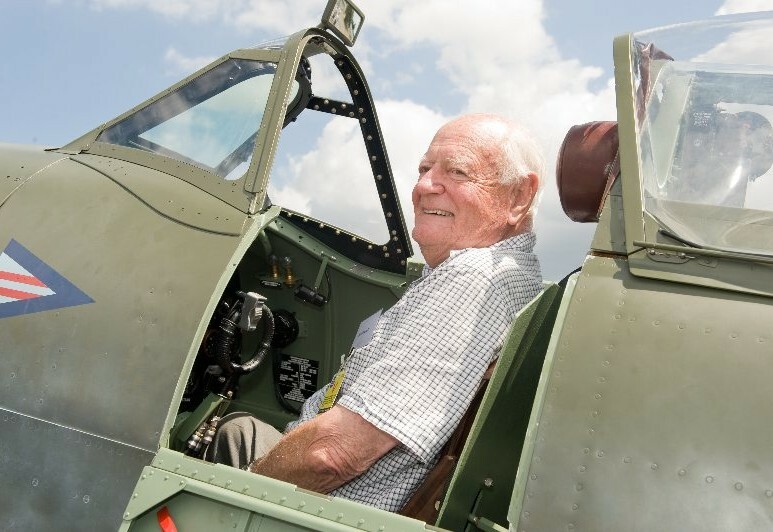 Max Collett (ex Spitfire pilot, 485SQN) sitting in PV270. 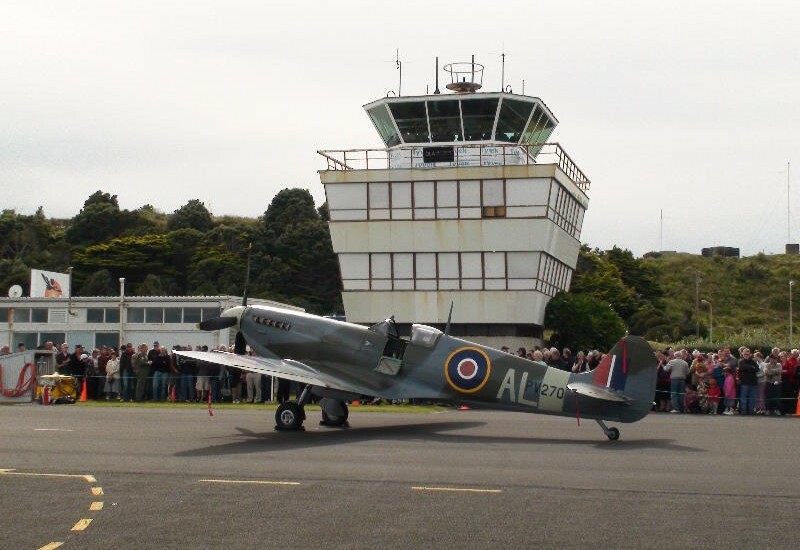 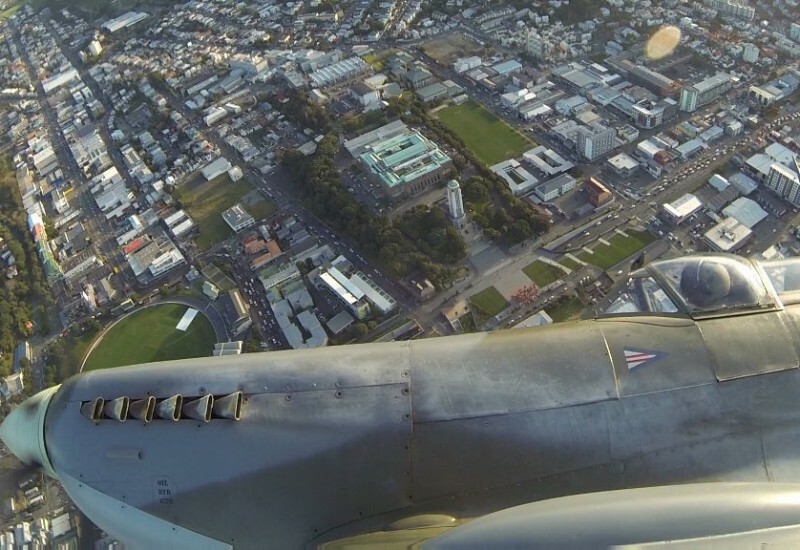 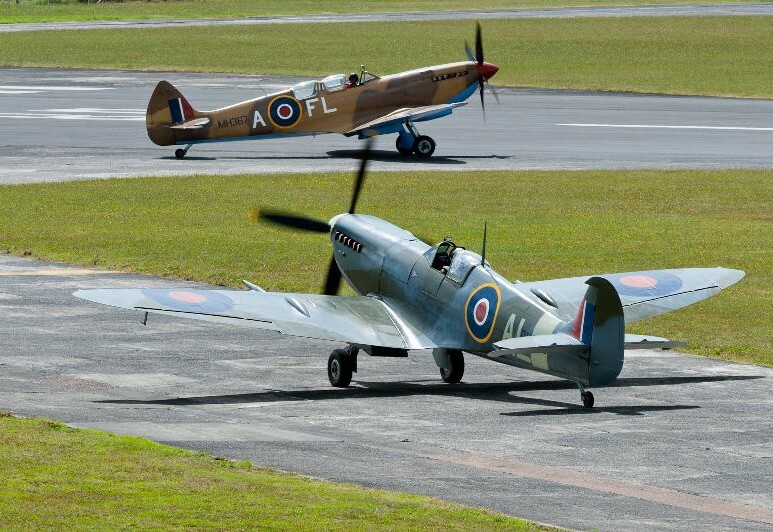 485 SQN Association Reunion 2012, hosted by 485 WG, RNZAF Base Auckland, 25 February 2012.